VESTAL, NY – A call that some local children would like to make today. 9659002] There was a ten-minute window to contact astronaut Serena Aunon-Chancellor while the space station was within range to reach via Ham Radio. During this time, students could ask 19 questions when they thought there would be a mission to Mars, what it's like to use the bathroom in space. The students believe that it was a unique experience. Gage Taylor 6th Grader says, "It was great, I thought it was pretty cool, I do not think I'll ever do it again, but when I do, I know what to do, because I just did it. " Jack Meissner 5th grade says, "I was surprised because I did not think we would actually do that when my mom signed me up for this camp, I thought we were just doing needlework and doing the amateur radio I thought not that we would actually speak to people on the International Space Station. " 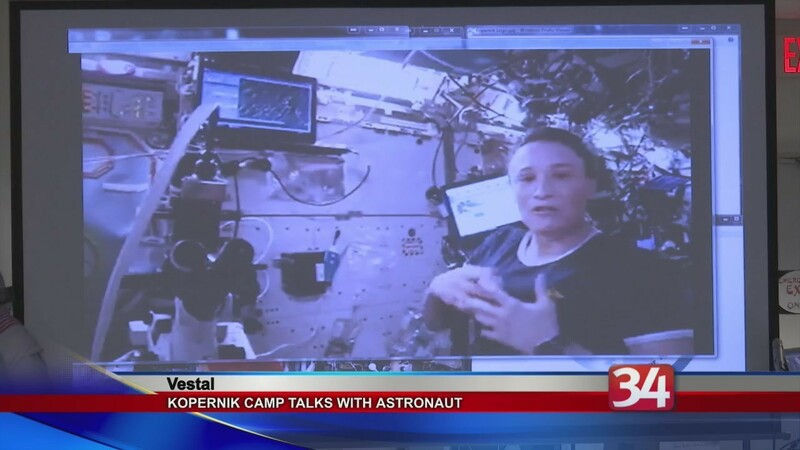 The Space Station allows about 12 to 15 of these radio communications with schools and camps around the world to take place per 6 months of mission.